Among them were brothers, future Army Maj. Lan Dalat and Army military police officer Anthony Lang, then 13 and 6. 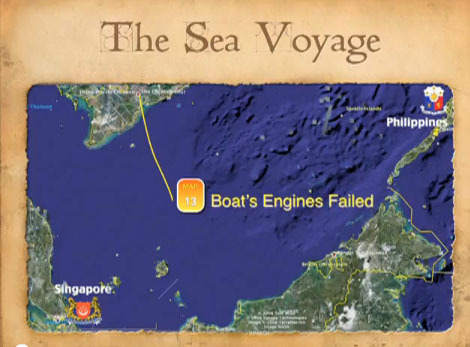 "I remember approaching the ship and it was like a city, from my perspective," Lang said. "This thing was the biggest thing I had ever seen in my life. It was like a starship." 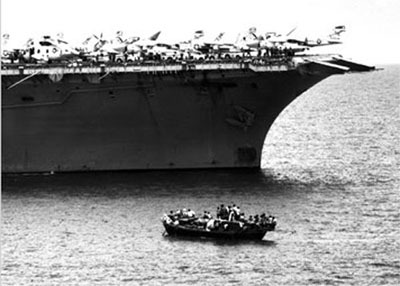 The USS Ranger, CV-61, at over 1,046 feet long, was equipped to carry more than 70 aircraft and about 5,600 Sailors. 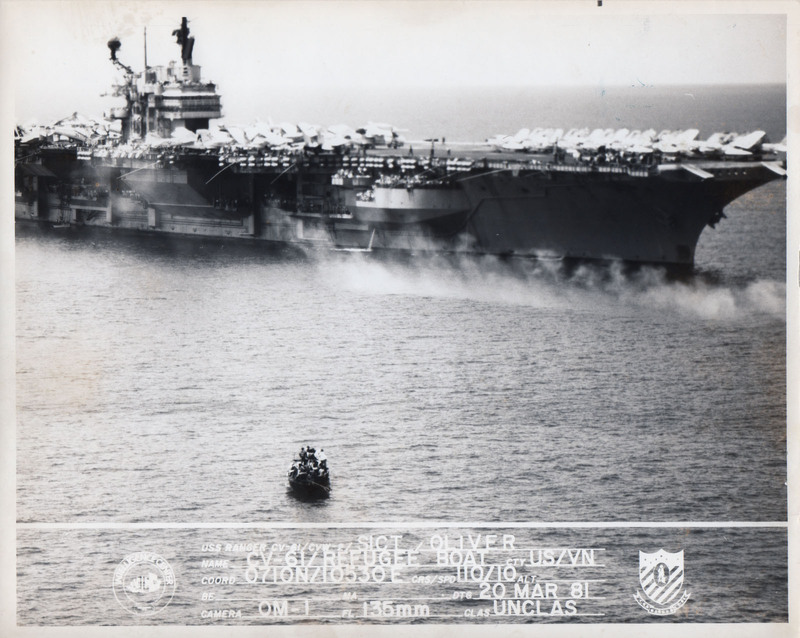 The ship’s captain was Navy Capt. Dan A. Pedersen, who had been the senior officer in a group of nine men who developed a tactics program for the F-4 Navy Fighter Weapons School at Naval Air Station Miramar, nicknamed “Top Gun.” In fact, the movie, “Top Gun” and “Star Trek IV: The Voyage Home” were both filmed aboard the USS Ranger. 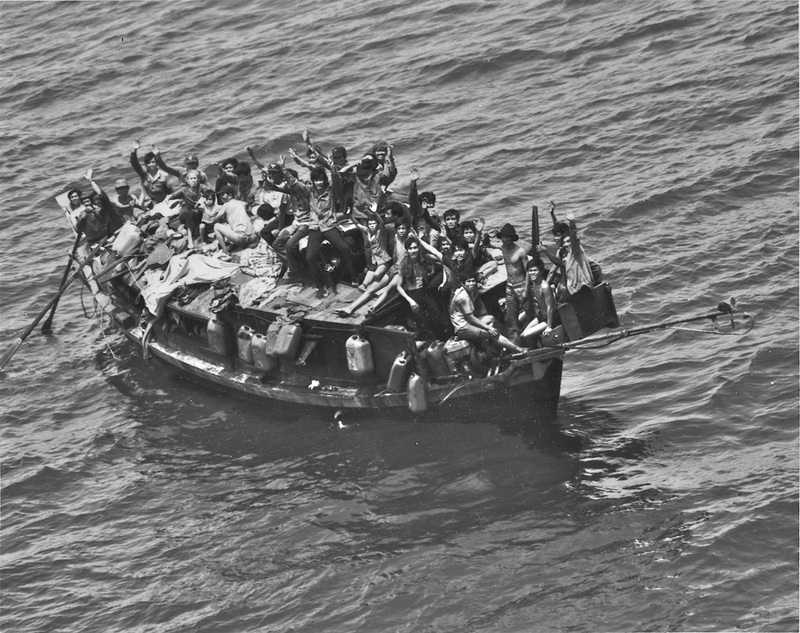 The Ranger took the Vietnamese refugees to the processing center in Manila, Philippines. 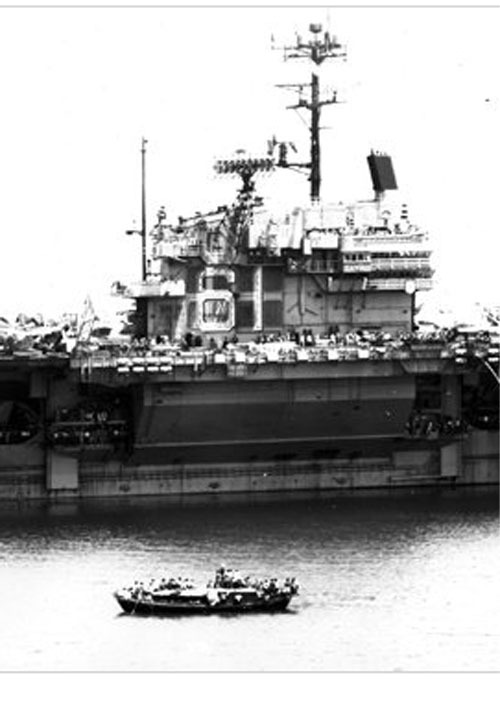 They were named 138 Subic Bay, after the number of Vietnamese and the location where they first arrived. 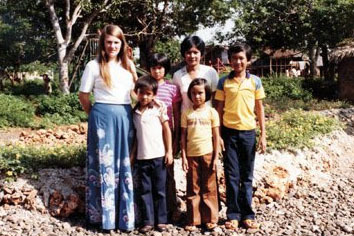 British volunteer Muriel Knox, English teacher, poses with the rescued family — Anthony, Michelle, Cam Quy Ton, Christine and Lan — at the Vietnamese Refugee Camp at Palawan, Philippines, in 1981 before the family’s immigration to the United States. Courtesy of http://www.ftleavenworthlamp.com. Please review for more detail. 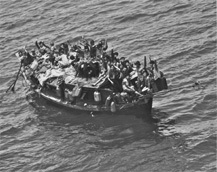 Copyright © 2012-2013 Refugee Camps.info. All Rights Reserved.